In an era where clicking a button makes everything possible, expecting a customer to pick up the phone to make a call is definitely the last resort for a customer who wants to reach out to you. Imparting human touch to your conventional customer support via live chat is symbolic of your customer-oriented business approach. No matter whether or not you intend to acquire a new customer or address the issues of existing customers, you cannot win over an individual if the much needed human touch is missing in your service. Businesses hardly acknowledge the usefulness of live chat support services that help in creating a valuable connection with customers at a price that hardly reflects on their books of accounts. This is one of those services that actually convert a company’s proactive approach into significant actions. One of the best things about online chat is its ability to support two-way communication and thus create room for healthy interaction. 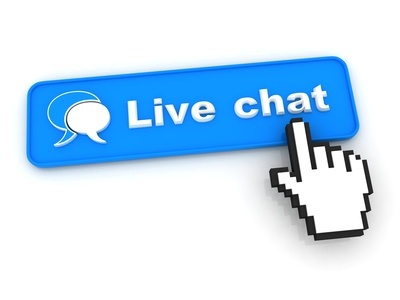 We, at Vcall Global, understand how important live chat is in a world where customer dictates the rules of business. Our chat support services aim to enhance your performance to a level where even inadvertent visitors become customers after an interaction. The capabilities of our solutions further reinforce your customer’s confidence and strengthen the bond between you and him. While our services add to the potential of an enterprise, they even create a considerable difference in terms of profits. Real-time assistance for every aspect of service. The competent workforce that offers multilevel support.